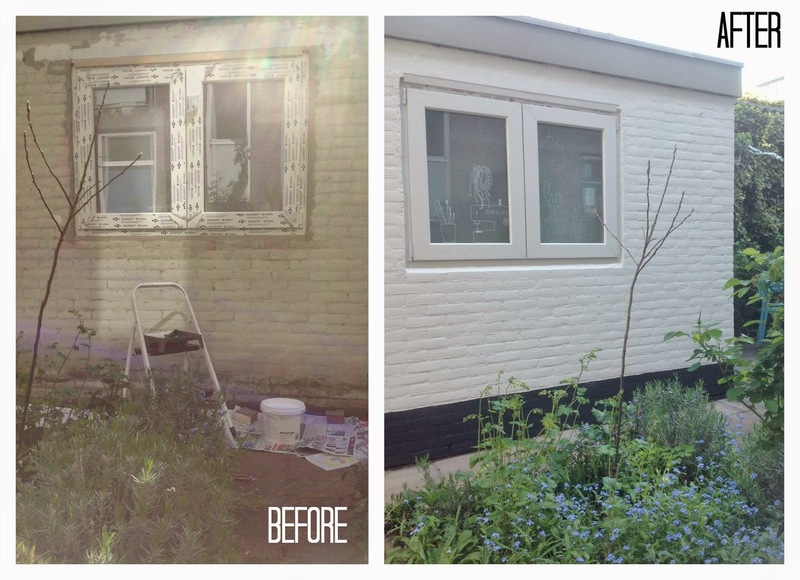 Last summer we started with my garden studio project and now it is almost ready, inside it was already finished ( well there are still some small things to do and make) but the outside needed some love and care too. The window was installed already a few months ago but I had to wait for dry and sunny weather to tidy it up and give the studio a fresh lick of paint. it looks great from the outside and I am sure that the inside is even nicer ! !